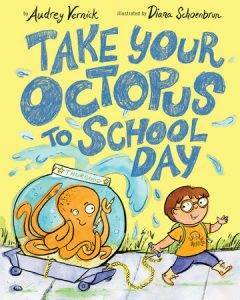 Can you imagine an octopus at school? What fun! Who or what would you bring to school if you could? It could be a person, animal, imaginary creature, object, anything! Submit a comment to this blog by Tuesday, November 6, and let us know. One lucky teacher will be randomly selected to win this book. Advancement Courses has a new set of free Touchdown Lesson Plans. Enter your email address to download Kindness Counts; It’s a Bird, It’s a Plane, It’s a Verb! ; and Ready to Hit the Target (Setting Goals) for grades K–5, or Learning a New Language (Math); Meet the Planets; and Tell Me What You Really Think (Read-Alouds) for grades 5–8. Each includes a bellringer, main activity, exit activity, and any patterns or graphic organizers. Check them out! 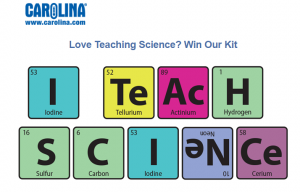 What do you love about teaching science? Share and you could win one of two inquiry-based science investigation kits with enough materials for your entire class. Enter at the Carolina Biological Facebook page, facebook.com/Carolina.Biological. Good luck! 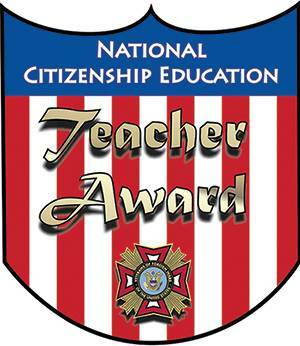 Do you know a teacher who promotes civic responsibility and patriotism? Nominate him or her for the VFW Teacher of the Year Award. The prize is $1,000 for professional development, $1,000 for his or her school, and a trip to a VFW conference. Get the details at vfw.org/community/youth-and-education/teacher-of-the-year. I can’t wait to hear who or what would be coming to school with you! I think I’d bring a penguin, J.K. Rowling, and the world’s biggest pizza. PS: Check out our latest goodies on Pinterest. I would bring a Sloth to school because I think they are such an interesting animal and if it tried to get away it could easily be caught due to they are so slow. I would bring a large dog to school. It could cuddle and play with the students. I would bring a giraffe to school. I just think they are the cutest! My husband, so he could see what my day is like. I would bring a koala because I have always wanted one!!! My dog, Nora. She’d love all the attention of my students when they are in the Library! I am loving these answers, so much fun! I would bring my cat, Blue. My husband – I want him to see what teaching is like. I wish I bring my clone to school. I would get twice as much work done. I could work with students and have fun while my clone does all the tedious planning, assessments, and paperwork! Bleh! I would bring an octopus of course. They are my favourite animal and very smart. I would bring a farting hippopotamus to school. My preschoolers would love it! I would love to bring a book tree to school. It would produce new and fun filled books for my students all year long!! I would bring a dolphin to show everyone to keep smiling! I would bring a wizard wand to help get everything done. i would totally bring a rockin’ multiplier machine so that everytime a student said,”Mrs. Barber” another one of me would appear. I could then flip a switch and the “extra” Mrs. Barber’s would disapppear until called upon again. Doesn’t that sound so good? I have a huge thing for all bears, real and stuffed. Living where I do, I am fortunate to see black bears and cubs so, of course, it would have to be bears. Pizza is a must too. My sweet little Maltese, Casey, would be so much fun at school! I would love to bring a paleontologist and geologist to class. Most of my students love Earth Science as much as I do and it would be exciting for them to meet some of the important members of this science field.